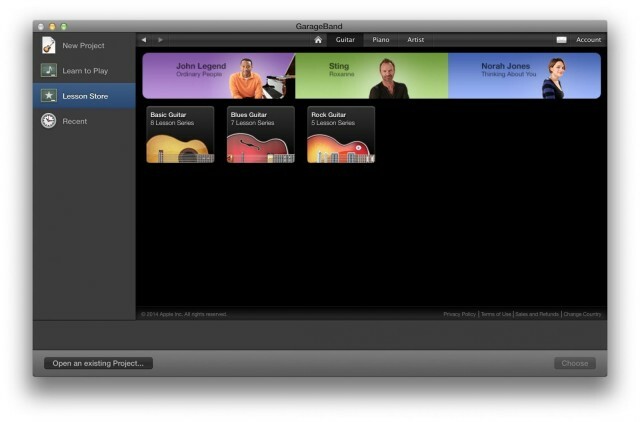 Launch GarageBand and you’ll usually get the New Project window, where you can select a keyboard, guitar, hip hop, or ringtone set up. Look to the left sidebar and click on where it says Learn to Play to go to the built-in lessons. 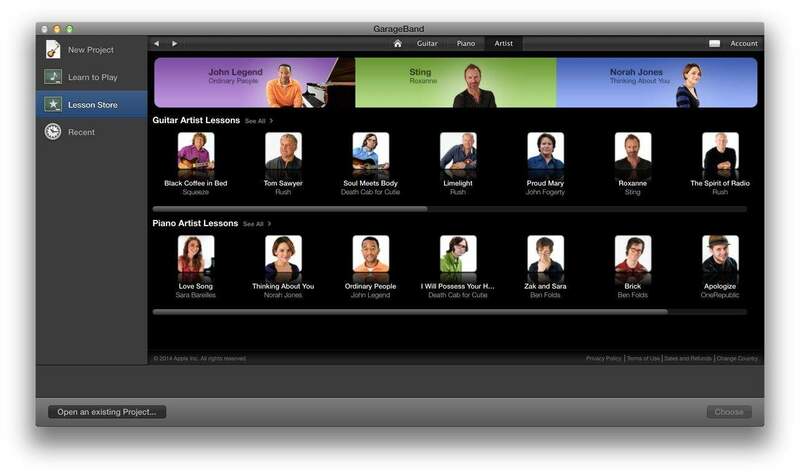 Click one of the Lesson buttons across the top to choose from those for Guitar, Piano, or from specific Artist lessons. This will show you all the lessons you’ve downloaded from Apple. 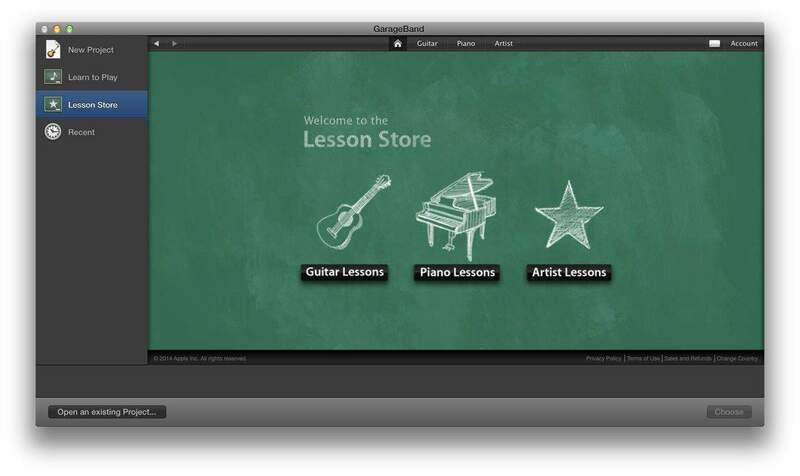 If you haven’t downloaded any, you’ll see the basic Intro to… lesson. Click on the Choose button in the lower right corner. In the case of the piano lessons, you’ll be prompted to plug in a USB or MIDI keyboard so you can play along and get feedback on your progress. You can skip this if you’re playing on a real piano. The guitar chord trainer will also prompt you to connect a guitar so it can tell you if you’re playing the chords correctly. If you want to download more lessons, click over on the Lesson Store icon in the left sidebar. There, you’ll be able to choose Guitar, Piano, or Artist lessons. Choosing the guitar or piano lessons will show you the different levels of lessons available, along with three featured artist buttons at the very top. Click on any one of the artist lessons to get a quick preview of the content, along with a lesson difficulty rating. Try not to rush ahead, students.